At Absence Protection we understand the challenges that schools face when teachers and support staff are unexpectedly absent. We work with schools to help prepare them for absences, ensuring that any financial cost, disruption or wasted time is kept to an absolute minimum. Absence rates within schools are high, with teachers taking an average of over four days off per year due to sickness. With a significant proportion of a schools’ budget being allocated towards staff, absences can be financially costly as well as detrimental to the operation of the school. With it being almost certain that a school will suffer some sort of staff absence every year it’s important to be prepared. There are several ways you can do this, including assessing the impact of staff absences and coming up with a strategy on how to deal with them. It is no secret that within the education sector stress is a significant occupational hazard. For that reason we have dedicated a whole section of the website to understanding the causes and reducing the levels of stress within your school, college or academy. Schools and academies have an obligation to cover teacher absences. However, this can be financially costly, particularly for schools who need to engage supply teachers or who choose to directly hire staff to cover staff sickness. Every year approximately 57% of teachers will take time off due to sickness, which can result in lost productivity and can be unsettling for the students. It also puts increased pressure on existing members of staff which, if you are not careful, can lead to more staff absences. Regular, short-term staff absences can be time consuming to deal with. Because of the nature of the absence, usually a minor illness such as a cold or stomach ache, your school is unlikely to receive much notice of the absence. This can make it a challenge to engage cover staff. Short-term absences also often come in batches, for example when a virus is going around a school. Given the urgency, covering a short-term absence can be disproportionately costly and multiple short-term absences can be logistically tough to deal with. Long-term absences are costly and can also have an emotional element involved too. Whilst they only make up 5% of all absences, they account for almost half of all working days lost. Having a contingency plan helps to manage the effects that a long-term absence has on your school. In our experience stress and mental health are the most common causes of long-term sickness, and in many instances preventative measures could have been put in place by the school to reduce the length of absence or even prevent the absence altogether. We team up with leading occupational health providers APL Health to offer counselling, 24-hour helplines and wellbeing programs to schools to help reduce their long-term absences and support absent staff through their illness. 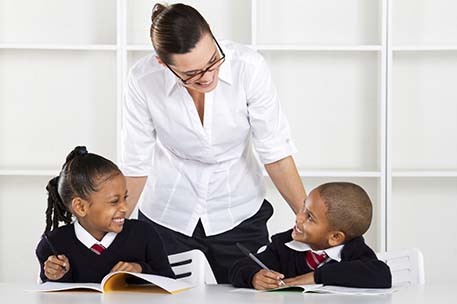 Non-teaching support staff play a fundamental role in the smooth operation of a school. Whether they are involved in administration, maintenance, finance or any other function, a staff absence could be costly to the school. Non-teaching staff account for almost 25% of an average school’s workforce, so it may also be important to ensure that any strategies put in place to manage staff absences also include non-teaching staff. If you work with Absence Protection to manage your staff absences it is entirely up to you whether you choose to include your non-teaching staff. You will also have an option to include any ‘all year round’ staff who may also work during school holidays. Some staff absences are inevitable. These will not affect your school too badly if you are prepared and have put the necessary contingencies in place. At Absence Protection we suggest three important ways to deal with staff absences. 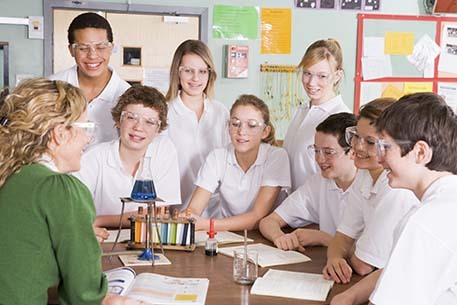 Generally lessons are covered using either existing staff or by engaging a supply teacher. Whatever your strategy is for covering staff absences you should have a plan in place beforehand, and if this involves existing teachers covering lessons, let them know beforehand. This may include writing up a rota for potential absences so that staff can be prepared before an absence even occurs. Some (usually larger) schools will employ full time cover staff which can make the planning process considerably easier. However, it is still important to make provisions for if more than one lesson needs covering at a time, and therefore a rota may still need to be setup. For schools who choose to engage supply teachers, it may be useful to have an arrangement with a local supply teacher agency, vetting and assessing potential supply teachers before they are required so that you can immediately engage them when a member of staff is absent. All of these preparations will ensure that the necessary cover is available immediately and no lessons go untaught or unsupervised. There is a general feeling that members of staff should not be contacted if they are absent, especially if the absence is due to stress or anxiety. The reverse is true. Keeping in regular contact and offering the necessary support to an absence member of staff will not only make them feel valued and supported by their employer, but will aid their return to work. It also means the employer will have a more realistic expectation of a return-to-work date. If you take out a policy with Absence Protection you will also benefit from the services of APL Health at no extra cost. APL Health can take care of the absentee support on your behalf, performing occupational health assessments and providing return to work information including expected date, recommendations for phased return and an idea of any provisions which need to be made. Some schools will have a ‘contingency pot’ to cover staff absences. However, a far more effective way to do this is to ensure the necessary staff absence insurance is in place. This will cover you in the event of any unexpected absences, enabling you to closer manage your budgets and mitigate any financial risk. At Absence Protection we offer a market leading staff absence insurance product which benefits from the widest range of cover available. Find out more about what’s included or get a quote today. At Absence Protection we have more than 10 years experience in insuring schools against staff absence and therefore we know first-hand how prevalent stress is and how costly it can be. The average length of a stress related absence is over five weeks, with 3.7% of teaching staff taking a stress related absence every year. 57.7% of schools will have at least one member of staff off with stress at some point during the year meaning that 16.0% of all days taken off sick are due to stress. 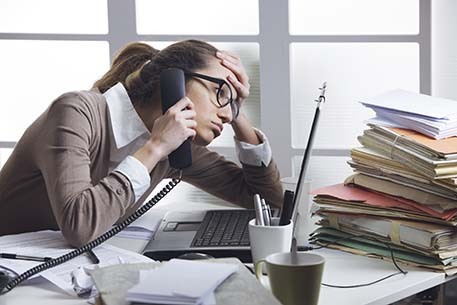 Stress can’t always be avoided, and it isn’t healthy or appropriate to shirk responsibilities. However there will be a surprising amount of stressors in your life that can be eliminated. For example if there are individuals in your social life or work life who cause unnecessary stress avoid them. If there are other things in your environment which you find stressful, such as traffic on a particular route to work, try and avoid them too. You must also know your limits and not take on any more than you can cope with. It’s important to know when to say “no”. Arguably the toughest but most important way to eliminate stress is through a change in attitude. Often you can’t change or eliminate the thing that’s making you stressed, so you need to change the way you deal with it. This is a technique that counselling or cognitive behavioural therapy will teach you. Some of the ways we can do this is by reframing problems and looking at the bigger picture, adjusting your standards by not always seeking perfection and above all, focussing on the positives. It’s important to accept that not everything is within our control, so we need to let these things go and concentrate on being assertive with respect to the things that are within our control. For instance; express your feelings rather than bottling them up, which may include speaking to your line manager or HR Manager or even seeking counselling or therapy. It is also beneficial to concentrate on effective time management to ensure you aren’t stretched too thin or running behind schedule. It’s something of a cliché but a work / life balance is important to our mental and physical health. Extra-curricular activities like socialising and exercising are important, and if you have a hobby such as gardening, art, sport or something hands on like restoring a car, you should try to do that as regularly as possible. In short, do something every day that makes you happy. A healthy lifestyle will support your body with any physiological reactions to the stress you encounter. Eating healthily, reducing the amount of nicotine, caffeine or alcohol you consume will help, as getting the necessary amount of sleep and exercising regularly. If you take out a policy with Absence Protection you will also be entitled to a range of wellbeing services designed to help you manage your levels of stress within the school. For more information visit our section on APL Health.